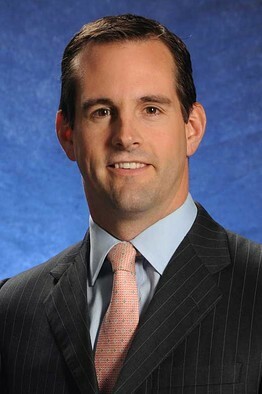 Tyler Vernon is a principal and portfolio manager at Princeton, N.J.-based Biltmore Capital Advisors. He told WSJ Financial Adviser that a covered call option strategy can generate decent returns in a sideways market. Traditional advisers formulate a percentage of stocks or percentage of bonds for their clients, and some of the more sophisticated shops out there are starting to get into alternative investments like hedge funds and that sort of thing. But I think one interesting thing is really diving down into equities. Everyone is talking about this unbelievable bull run of 70% from the low, so what do you do at this point? One of the things that we’re advising our clients – and the firms we manage this strategy for – is to position equities for returns in a flat market. The idea is to still have long-only positions that will go up if the markets go up, but also implement some strategies that can generate income if we start to experience sideways returns like the ’70s. Right now a lot of advisers are worried about how they’re going meet their clients’ income needs – especially in what everybody thinks is going to be an increasing interest rate environment. When that happens, bonds are probably not the best place to be hanging out. We’re going ahead and buying a whole bunch of companies that pay good dividends, and we’re selling covered calls on these stocks. If the market’s up 40% you might only get a 15% to 18% return. But we’re firm believers that this market cannot continue to do what it’s done and run up at a 70% clip. So that’s our big push: Underweighting bonds, reproducing that income through covered call option strategies, and, for people looking for total returns, shaving down some of their long-only equity investments where they’re just buying and praying the stocks go up. Employing covered call option strategies could generate large returns relative to the market. If the markets end up being sideways for the next couple years, this strategy should throw off about an 8% to 12% income stream for individuals who want alternatives to bonds.